The fact is that sectarianism has taken the place of nationhood in the Middle East. The Sunnis are nominally led by Saudi Arabia; the Shiites are nominally led by Iran. These two blocs are in conflict in Syria. Both Syrian and Iraq were created by the European Powers after World War I. What France and Britain drew on the map had little to do with ethnic and sectarian realities. Those realities have now come to dominate the region. 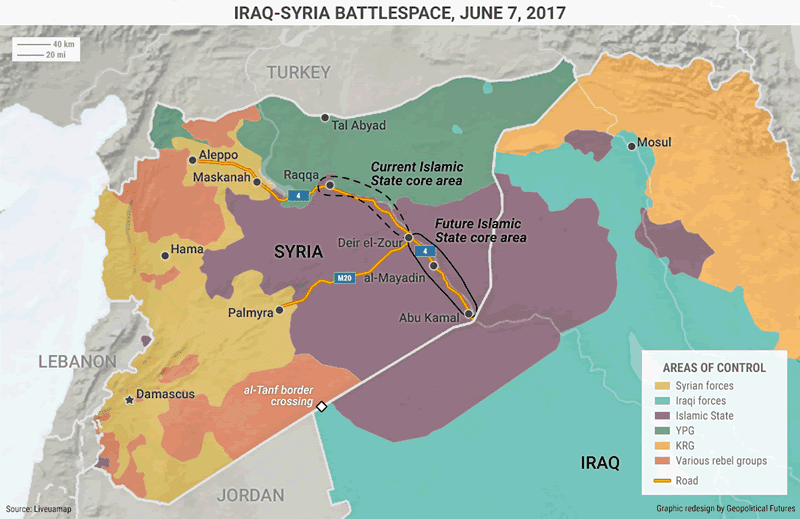 ISIS has lost some territory it previously held, but those losses have benefited the groups occupying the land, not the national governments. Historically, power has shifted between the two Islamic sects about every 500 years. Currently, it appears the Shiites are in the ascendancy and the Sunni bloc in disrepair, having lost Iraq to a Shiite regime, and leadership of the Sunni rebellion in Syria challenged by ISIS jihadists.